Andrew Darley introduces the synthpop outfit, Scale Model. 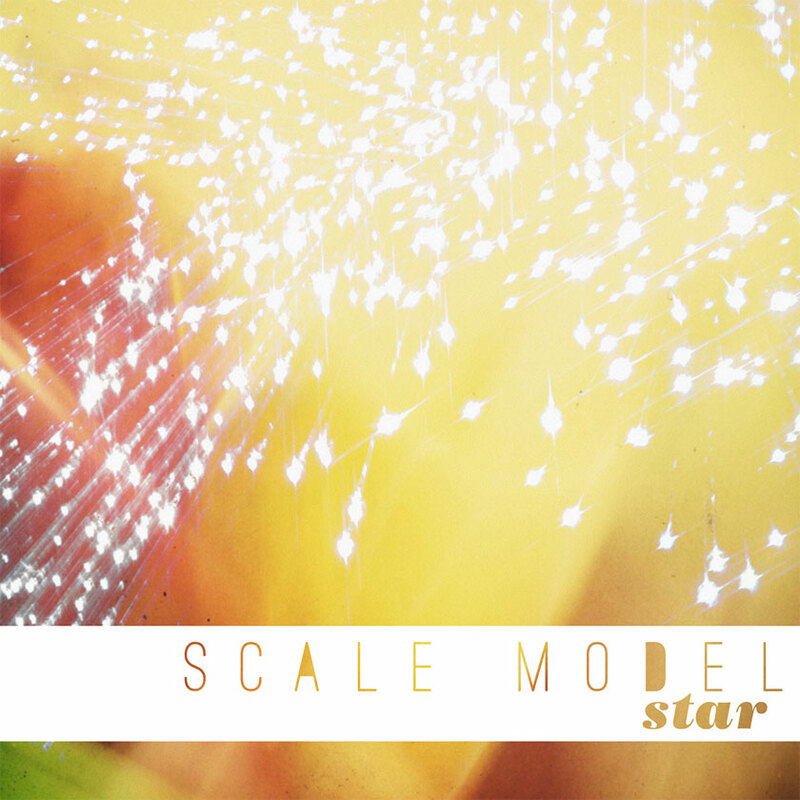 The songs on Scale Model’s debut album Star are written out of a love of new wave music and synthpop. 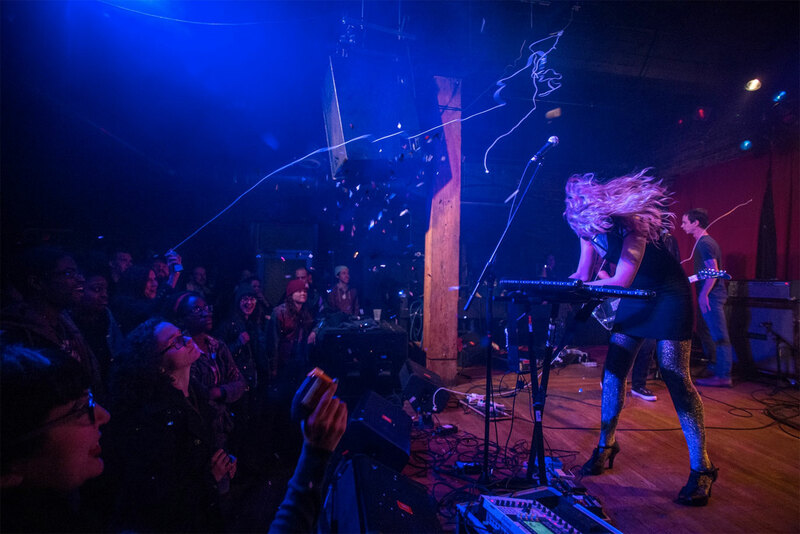 Based in Tennessee, the band came together when singer-keyboardist Megan Rox and guitarist Dave Johnson relocated from their hometown of Chicago in 2009 to Nashville and established the current lineup. With a self-titled EP released in 2012, the band quickly got to work on the first full-length, Star. 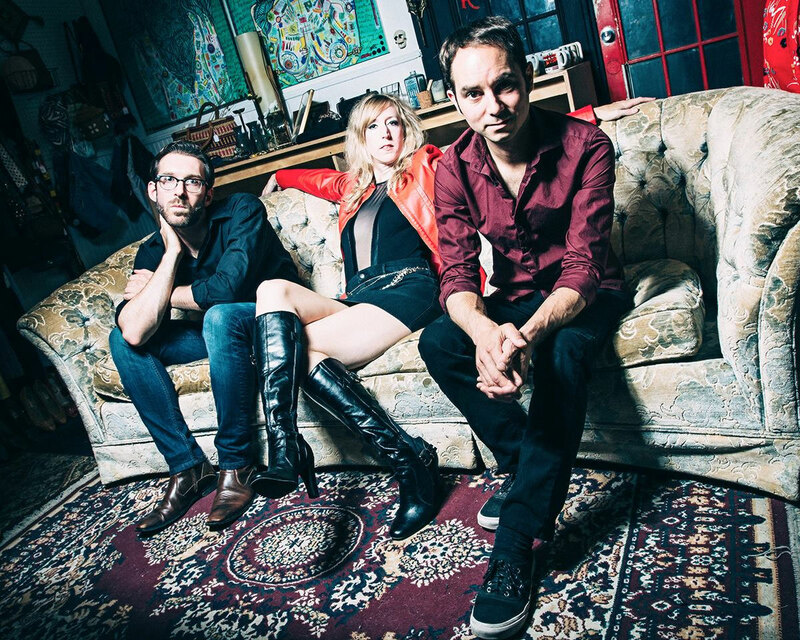 The band point to the likes of Blondie, Metric and The Cardigans as their references, as they mix guitar pop melodies, beats and synthesizers. Andrew Darley chatted with the band to talk about the deluxe version of Star, Megan’s work as a spiritual life coach and how it is not mutually exclusive to the band’s music. Let’s go back to the start, how did you all meet each other and become Scale Model? Megan: Dave and I started the band in Chicago where I grew up (we were dating at the time, we’re married now). When we moved to Nashville (5 years ago), I met Steve when we were both volunteers for the Teen Rock camp. When you started, were there any bands or musicians that you all mutually loved and made you want to make your own? Steve: I think all of us have always been big fans of The Smiths, Depeche Mode, and New Order. But Meg and Dave formed Scale Model long before I joined. Their influences were a little different at the time. How did you reach the name Scale Model? Were there any other contender’s for the band’s name? Megan: Not a very interesting story unfortunately. We couldn’t decide on a name and when we had booked our first show we realized we really needed to come up with a name, so Dave threw out the name Scale Model and we all said, “Yeah, sure, it’s better than anything else we’ve come up with”. How would you describe the music you make to someone who has never heard your work before? Megan: Dark synth pop/rock with electro, disco and 80s influence. And a bit of a Yeah Yeah Yeahs and Metric vibe. Steve: Thoughtful, yet fun power pop. 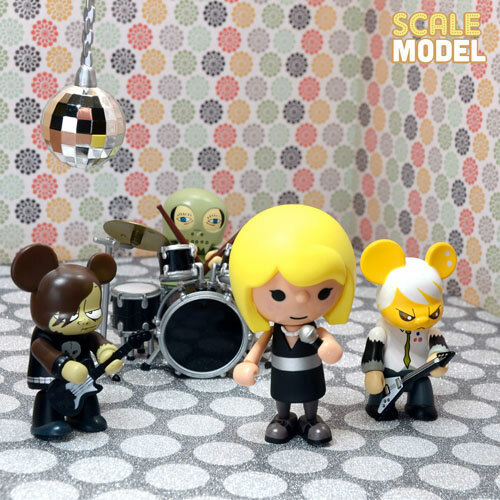 If Blondie, Metric, and New Order all cross-pollinated, you might get something like Scale Model. How did you write this album? Did you write collectively or sometimes as individuals? Steve: Mostly collectively. Dave and Megan come up with the basic chords and melodies, and then bring it to the rest of the band to come up with the rhythm and feel, then we all work on an arrangement and flesh out the parts. Megan: Writing the lyrics is usually the last thing I do because I’m not very good at it. I come up with the vocal melody first. What’s the meaning behind the album’s title, Star? Megan: It’s based off one of the songs on the album, “You Can Be A Star,” about encouraging people that “you can be a star if you follow who you truly are”. Steve: We also share a fascination with space and stars, galaxies, etc. Our bass player at the time just threw it out there and it stuck. Steve: I’d say the biggest challenge was time commitments of the band members, plus that of Jeremy, our tracking engineer, and Matt, our mix engineer. It caused the process to be pretty slow from start to finish. It was worth it though! To overcome it, we really just had to learn patience on whole new level. Are you happy with how the album turned out? Steve: This album is one of the greatest pieces of creative work that I’ve ever been a part of. In fact, it’s probably THE greatest that I’ve been a part of to date. Megan and Dave feel the same way. Do you have jobs outside of the band? How do you manage the two? Megan: Yes. I am an adjunct professor so I can pick my class schedule every semester and be flexible. I’m also working on building a life coaching/motivational speaker career. Needless to say I don’t have much free time. Dave owns a guitar shop here in Nashville called Scale Model Guitars where he builds and repairs guitars for many musicians and bands in our local music scene. Steve: We all do. I work a regular day job at a large company that’s based in Nashville. For all of us it’s a sacrifice to use a huge part of our vacation time for touring, but it’s something that we’re all ok to do at this point in our lives/careers. But it is a lot more difficult than say, a band of 22-year-olds who can deliver pizzas for a living and then jump in a touring van for months at a time and not have to worry about it. Sometimes it does seem like the system is rigged against normal adults who want to be successful at playing music at least on a part-time level. What are your live shows like? From the photos on Facebook, they look pretty intense! Megan: Yeah, Dave and I like to really let loose! Steve: We put a lot of effort and thought into making our live show memorable. We’ve added lasers, a fog machine, floodlights, and LED light-up guitars built by our guitarist/luthier Dave. But the only real way to know what it’s like is to come see for yourself. You held a remix competition for the deluxe edition of the album. Was it strange for your work to be interpreted by other people? Megan: It was awesome for me to hear what other people did with my vocal parts! It’s like a new song. Steve: I’m a fan of electronic music in general, so the world of remixes is very familiar to me. So it wasn’t strange at all for me to hear other artists’ interpretations. It was really exciting actually! ‘Live It Up’ is obviously a song about being young, having a good time and getting drunk. But I’m wondering, does it also take on the hipster scene that we find ourselves loathing and regrettably sometimes buying into? Megan: Oh yes, it’s mostly influenced by our neighbourhood, East Nashville. One of the popular hangouts for late-night karaoke is a redneck divebar. The last time I was there some guy was talking about just getting out of jail. Who doesn’t like making fun of hipsters and crazy dive bars? Steve: I think it does, in a very light-hearted/joking way. It’s really about not taking yourself too seriously in the end. But that’s just my interpretation of Meg’s lyrics. Interestingly enough, Matt Mahaffey (who mixed Star) wrote a song much more directly about the hipster scene with his band Self. 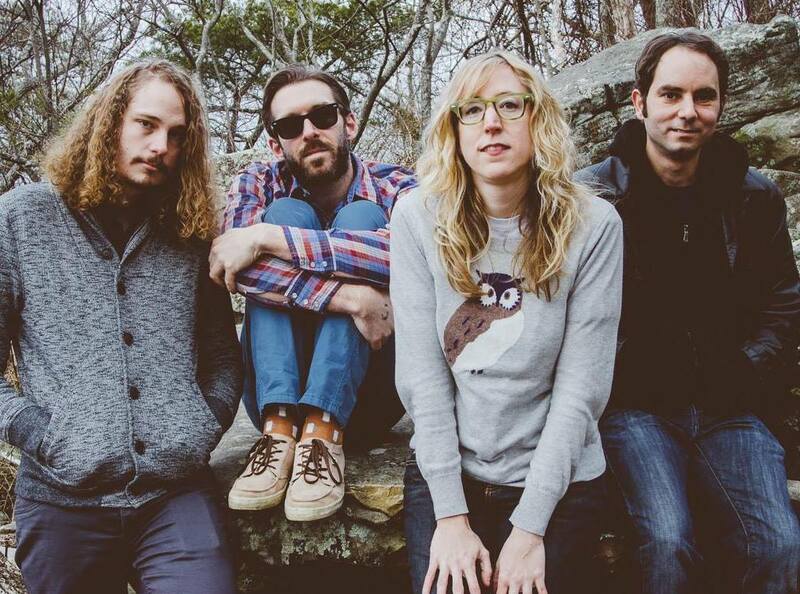 Check it out on their new EP Super Fake Nice. It’s called ‘Hey, Hipster!’. I’ve read that Megan is a motivational speaker, particularly for young women living in small towns and coming out and being yourself. How and why did you get involved in this? Megan: Yes, I’m on a spiritual journey. I am a spiritual life coach and in order to get out of a long-term depression I had to do some soul searching. I discovered my true authentic self and have learned to love all parts of myself and found the confidence to express that through performing in my band. I struggled with self-esteem and confidence issues and depression for much of my 20s. Since I’ve been teaching college, I find a soft spot in my heart for those struggling with that tumultuous period between the ages of 18 and 28. I won’t go on a rant about how our culture and media in the U.S. perpetuates negative body image ideals that influence all of us, especially young women. I believe strongly in encouraging people, of any age, to find and follow their true authentic selves, regardless of acceptance or approval of others. Did you feel a sense of obligation to do this, since your own journey in finding your own voice that could potentially help others? Megan: I like to think of it as a calling. My spirit is leading me to help other people find their own voice and step outside our culture’s narrow box of what’s considered normal. It’s not surprising that I resonate with LGBT people since that’s exactly what they’ve had to go through. I sing in Nashville’s LGBT choir, Nashville In Harmony. I’m constantly inspired by my colleagues and their confidence and courage as well as acceptance of everyone. Have you learnt anything about yourself in doing it? Any moments that stand out in your mind? Megan: I’m always learning about myself because, as an aspiring motivational, spiritual (non-religious) speaker, I am always looking inward and looking to my spirit and soul for guidance, since that’s the basis of what I ask my life coach clients and workshop students to do. The idea self-empowerment carries over to your music, particularly on a song like ‘Do It Tonight’. It urges not to wait till tomorrow and to do what you want now. Has there ever been instances when you found yourself putting your life on hold? What do you want Scale Model to become? Have you got any goals you have in mind? Megan: I just love writing music and performing it for people. Because I love the energy exchange I feel with the audience when there are a LOT of people, I’d love to be able to play in front of thousands of people some day. Steve: I want to make music that I personally enjoy both playing and listening to. And I want to play that music for people and experience the awesome energy of playing live in front of a few hundred or more people. And I want this band to become a self-sustaining endeavor that gives us a part-time income. Anything beyond that is a bonus. Star is available to buy now through their Bandcamp page. For more news and info about the band, visit their website.